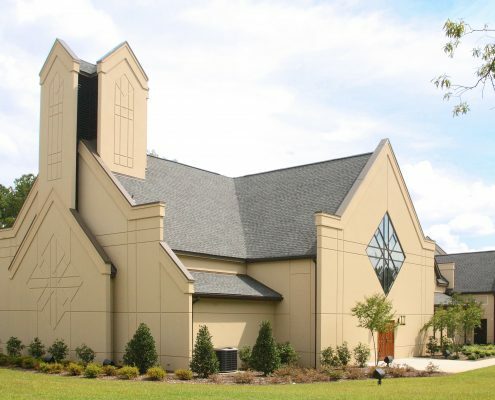 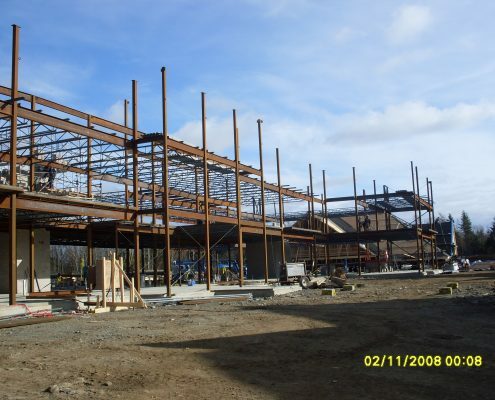 Marid received a contract for a Shannex Retirement Living building in late summer of 2010. 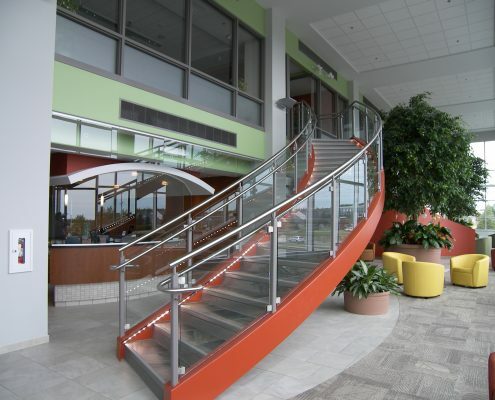 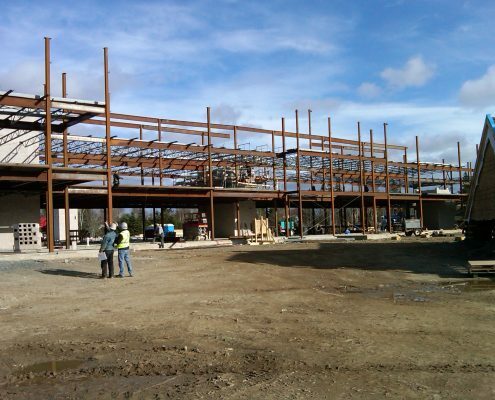 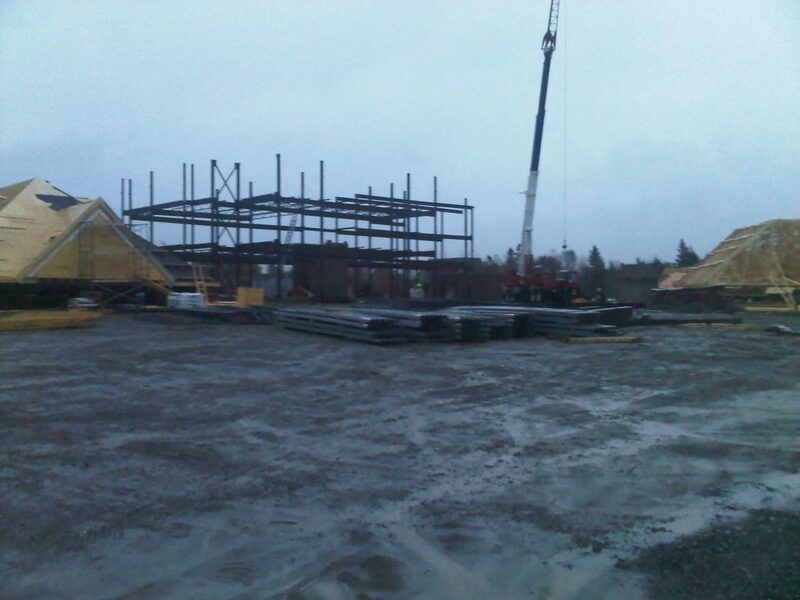 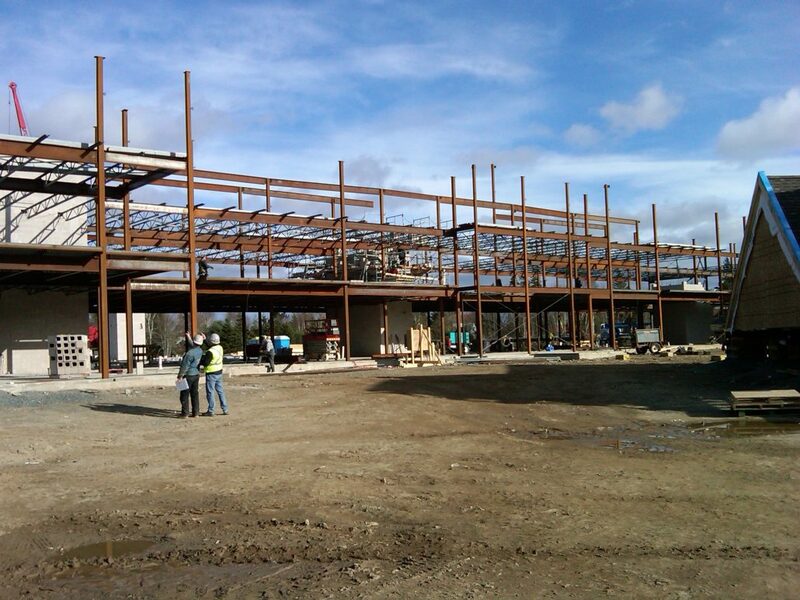 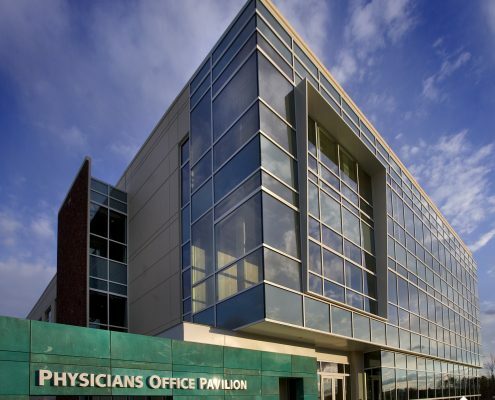 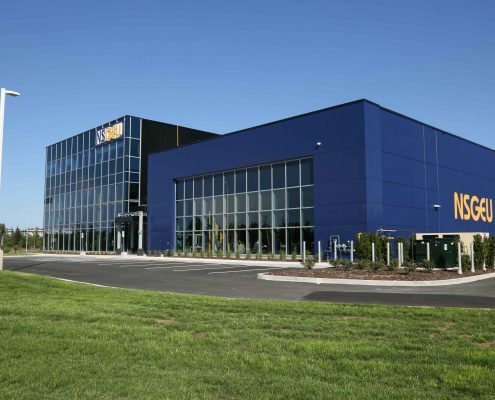 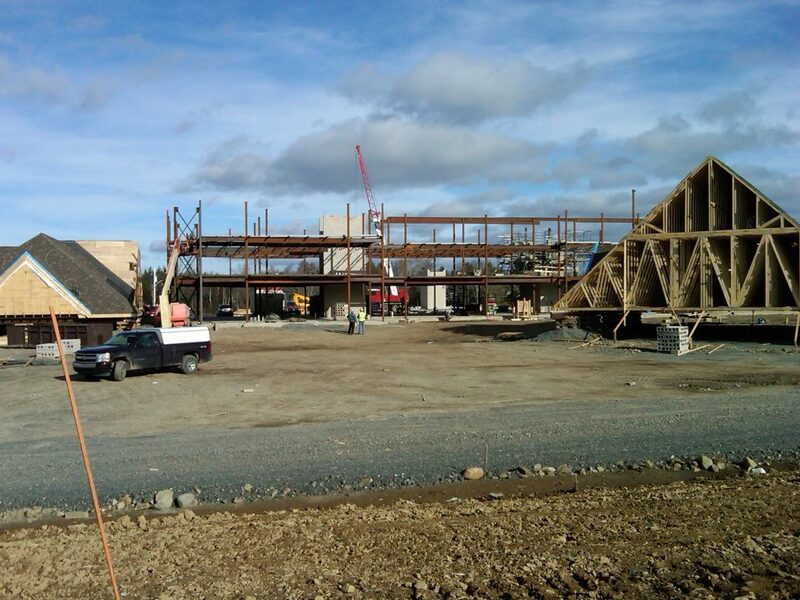 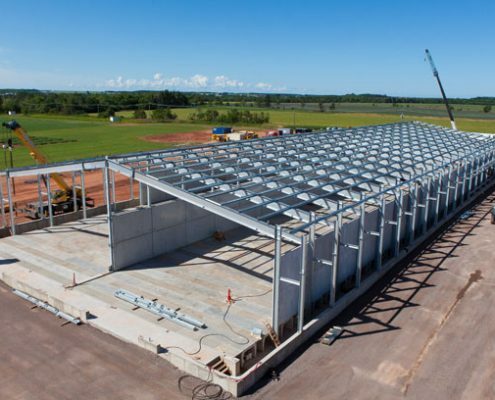 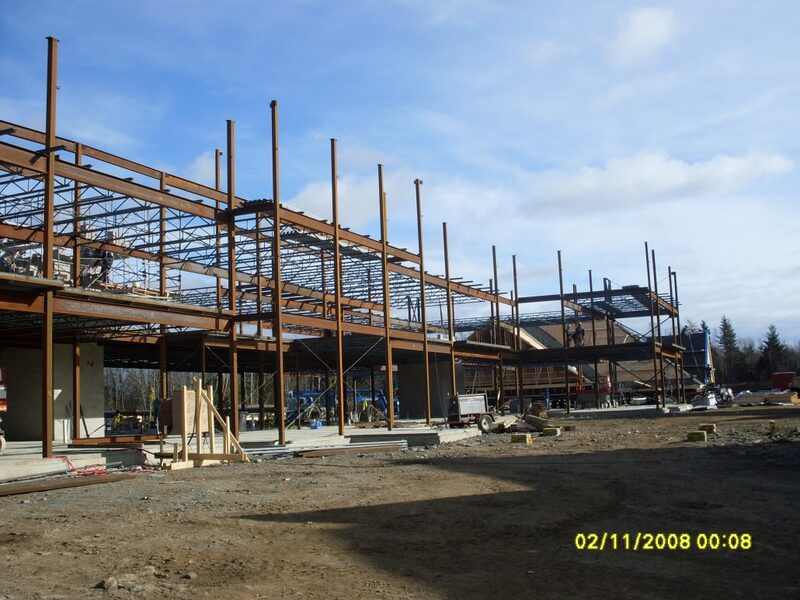 This contract was for a 3 storey conventional steel framed Tee shaped building with total of 83,000 square feet. 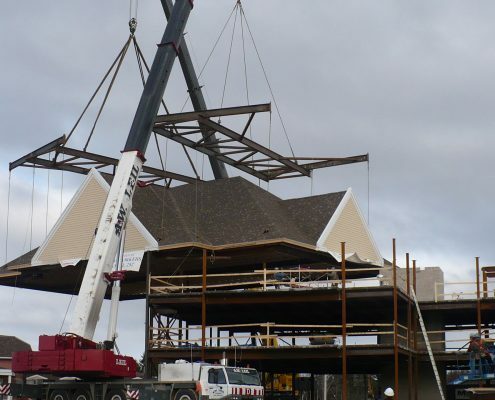 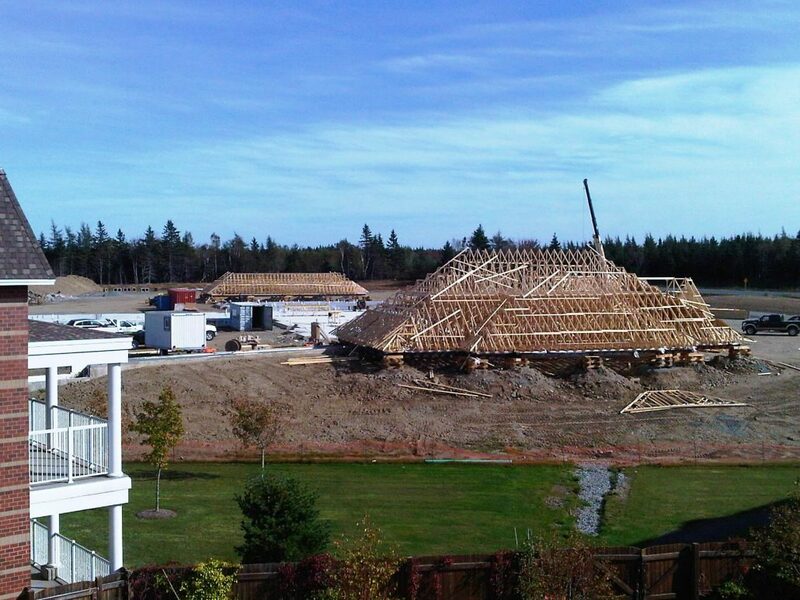 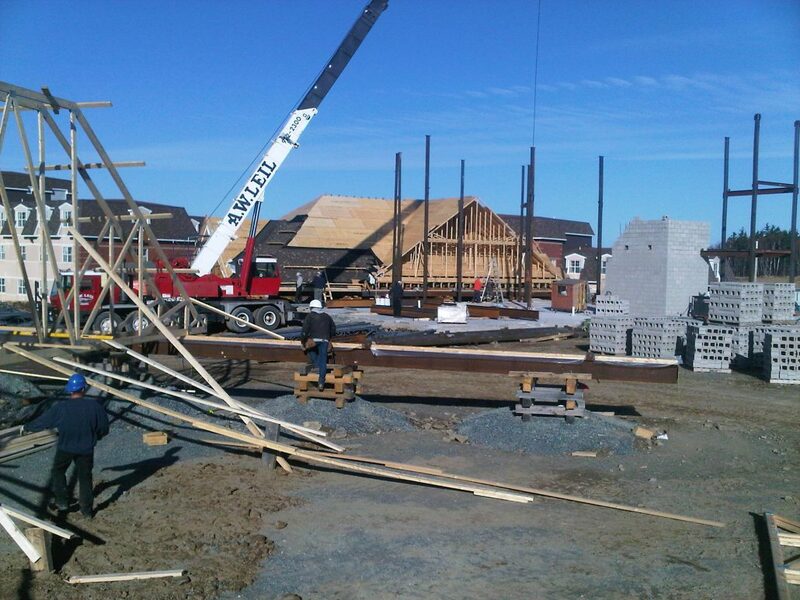 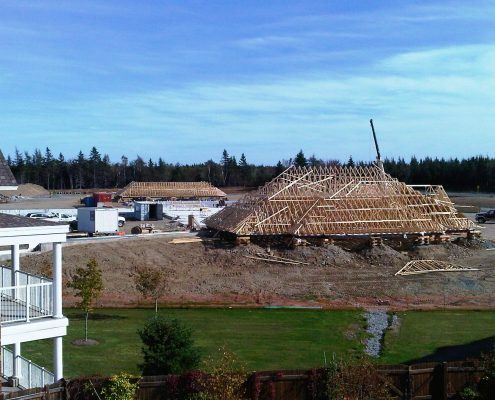 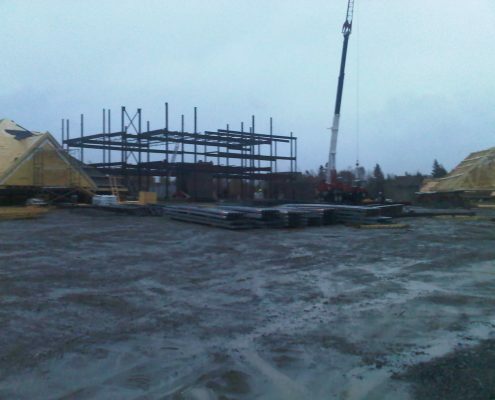 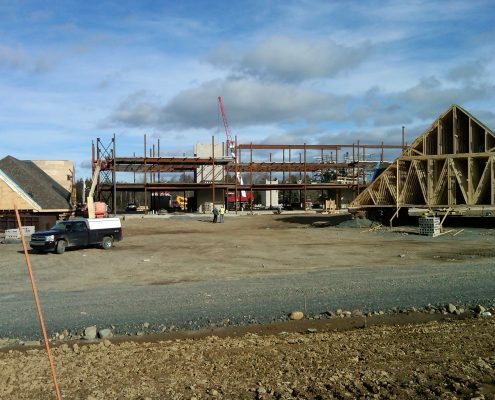 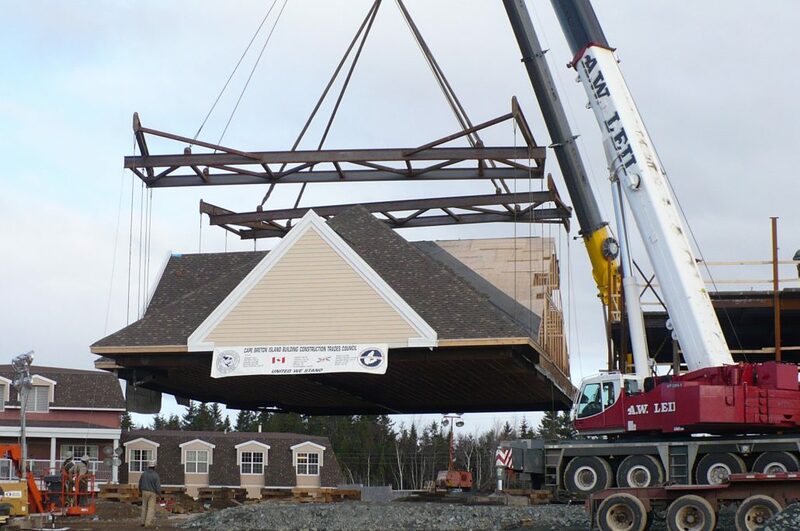 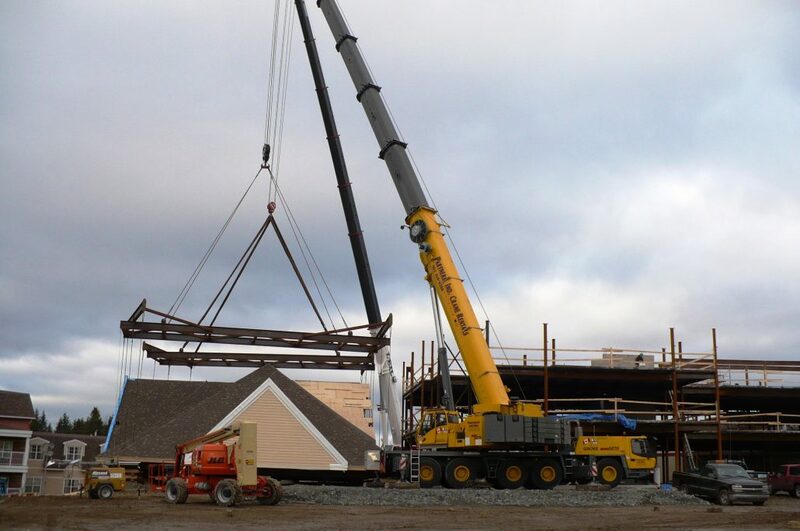 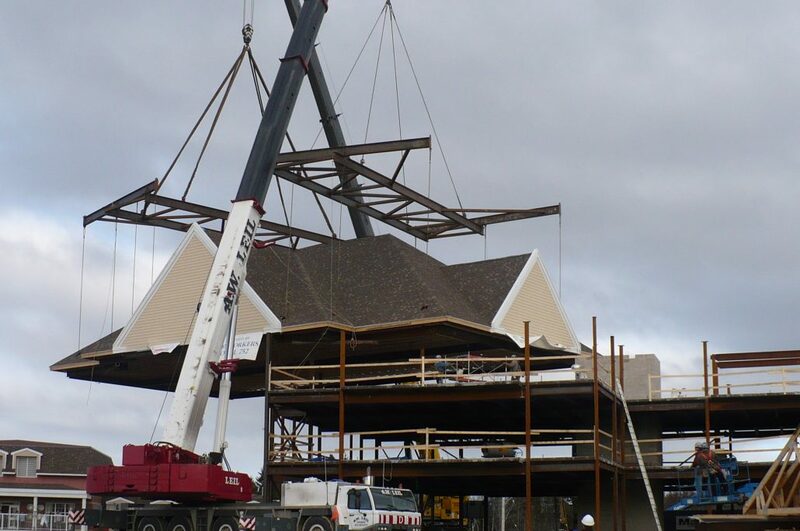 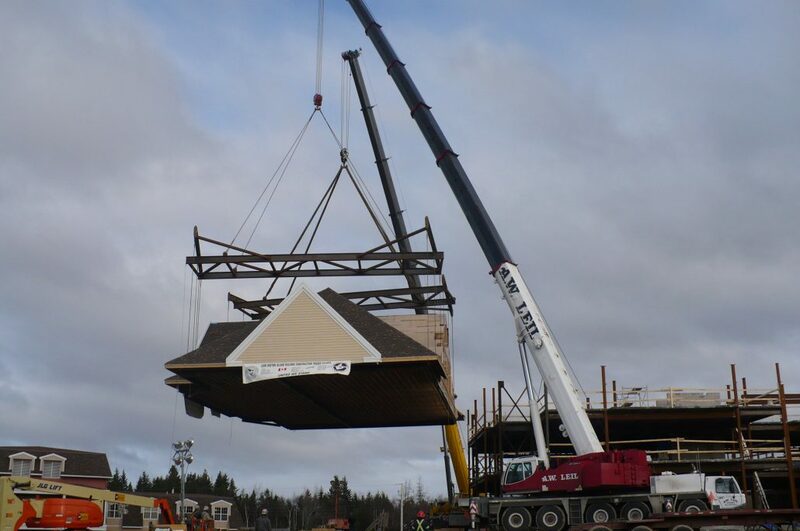 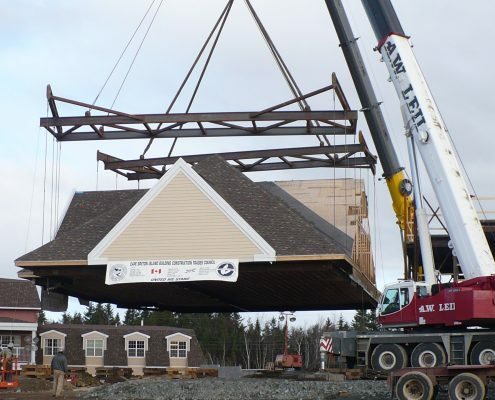 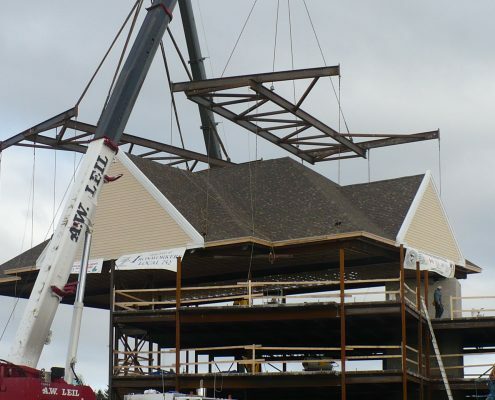 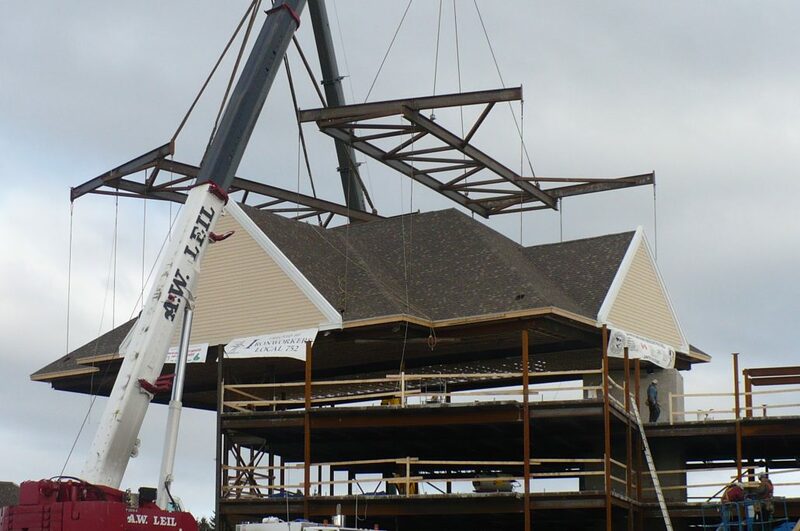 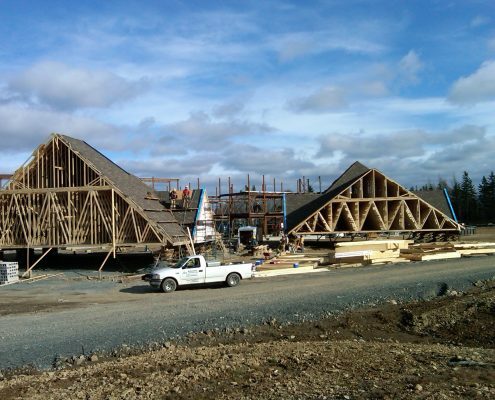 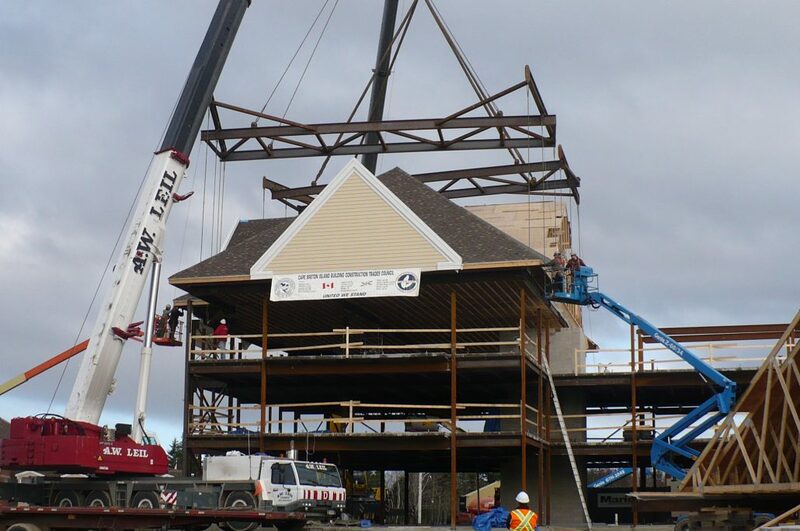 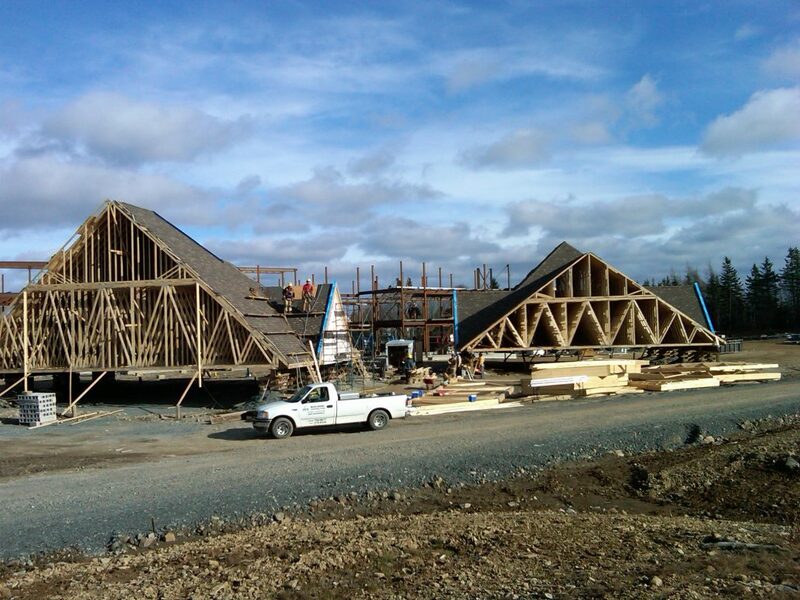 Because of approaching winter, the schedule of construction would have roofing trades framing and installing the 12/12 pitched roof during the middle of the winter in Sydney, Cape Breton. 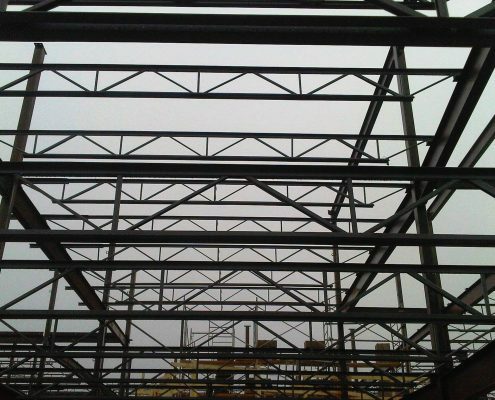 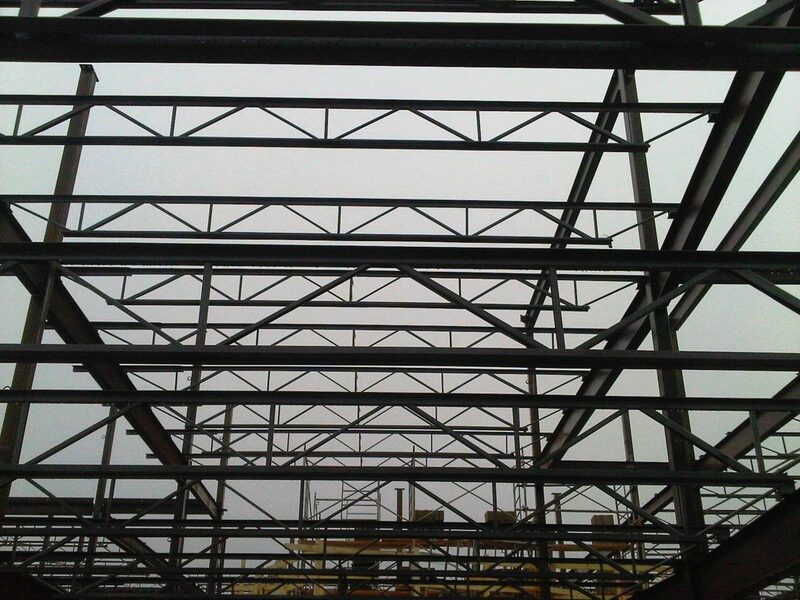 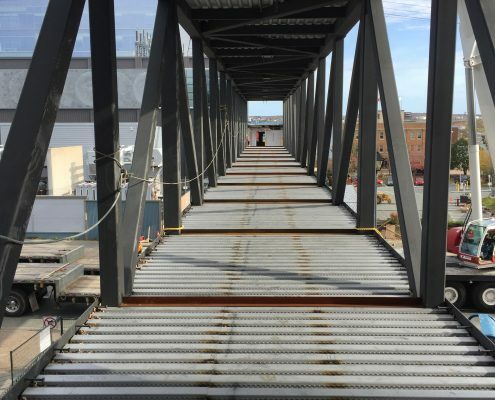 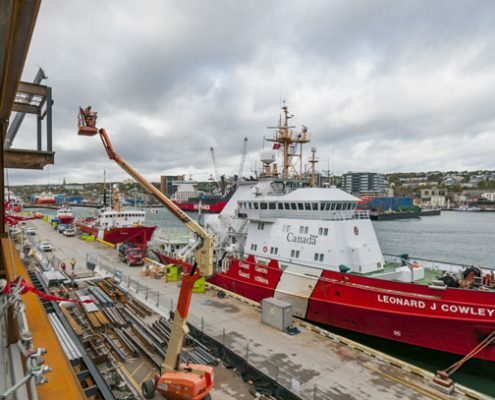 The owner inquired if it would be possible to build the roof on the ground at the same time that the steel framework for the floors was being done and to hoist the completed roof into place to avoid the severe winter working conditions. 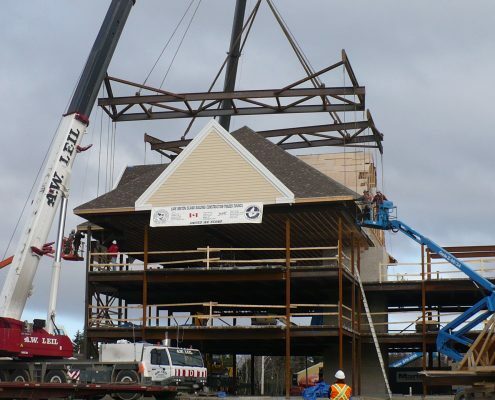 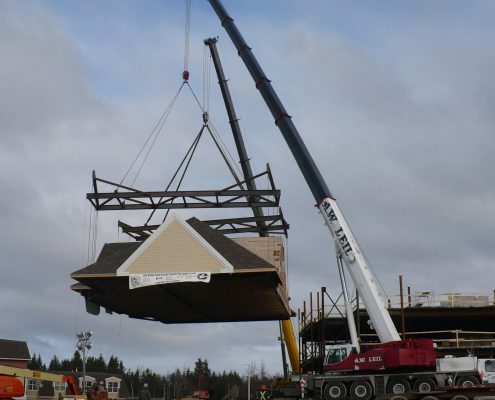 Marid, along with Sani Engineering, took on the task and developed a plan that would allow the pitched roofs and framing steel to be assembled on the ground and erected in 7 modules. 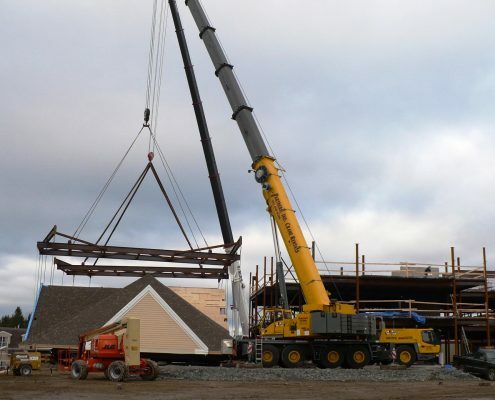 The hoisting of these modules required the construction of custom made lifting frames so as to maintain a balance load for the three largest modules to be installed using two cranes. 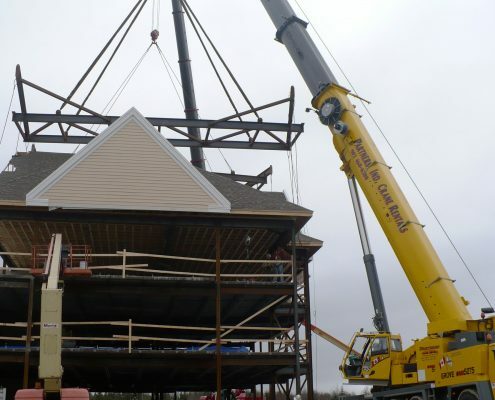 The project was accomplished and the owner realized savings by having the roofs completed during better working conditions. 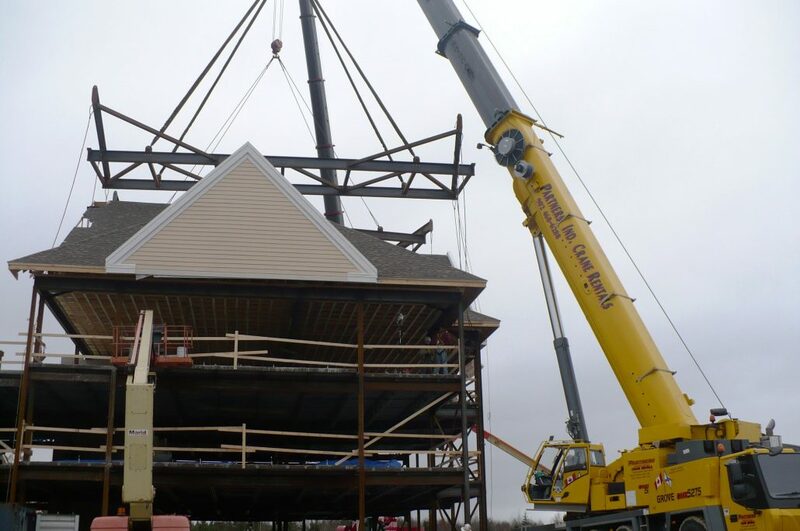 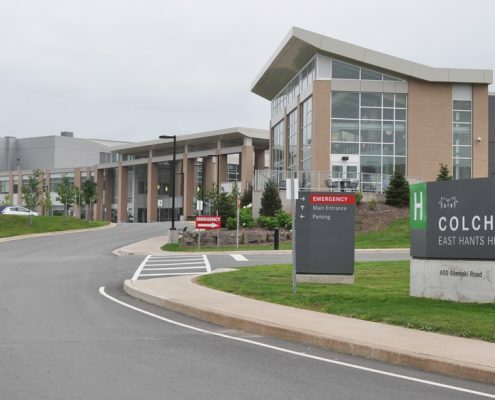 Shannex is a family owned, Maritime based company that has been offering Care at Home, Retirement Living and Enhanced Care across Nova Scotia and New Brunswick for the last 25 years.